Back in black-ish! ABC has renewed its Black-ish TV series for a third season. This smart family comedy, created by Kenya Barris, manages to address family and social issues with candor, while hitting the right comedic notes. The cast of Black-ish includes: Anthony Anderson, Tracee Ellis Ross, Yara Shahidi, Marcus Scribner, Miles Brown, Marsai Martin, Laurence Fishburne, Jenifer Lewis, and Jeff Meacham. 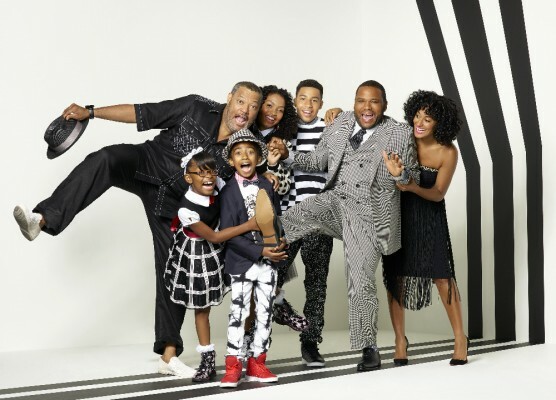 “black-ish” stars Anthony Anderson as Andre “Dre” Johnson, Tracee Ellis Ross as Rainbow Johnson, Yara Shahidi as Zoey Johnson, Marcus Scribner as Andre Johnson, Jr., Miles Brown as Jack Johnson, Marsai Martin as Diane Johnson, Laurence Fishburne as Pops, Jenifer Lewis as Ruby and Jeff Meacham as Josh. ABC has also renewed: America’s Funniest Home Videos, The Bachelor, Dancing with the Stars, Fresh Off the Boat, The Goldbergs, Grey’s Anatomy, How to Get Away with Murder, Marvel’s Agents of SHIELD, The Middle, Modern Family, Once Upon a Time, Scandal, Shark Tank, and Quantico. What do you think? Have you been watching the Black-ish TV show? Will you be tuning in for the third season of this family sitcom? I loved the first season it was a great show. Lately the show “third season” has gone down hill. I’m only going to give it a couple more episodes, if it doesn’t get better I will stop watching it. Great show, great acting, touches some deep subjects with style, comedy and candor. love anthony anderson and the rest of the cast but its beginning to be one of my least favorites lately.